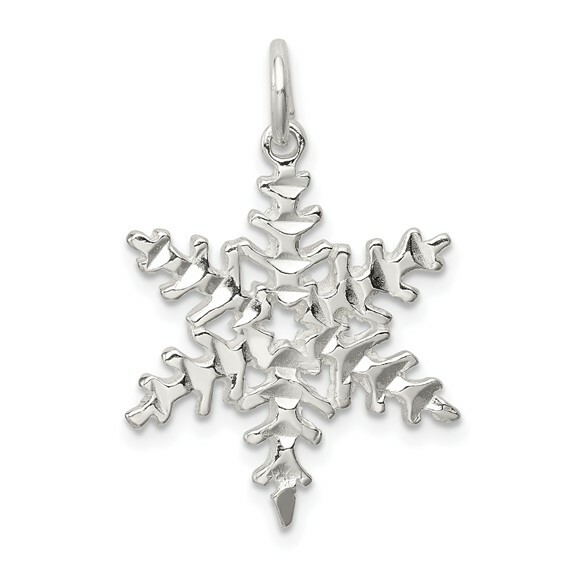 Sterling Silver Snowflake Pendant. Weight:1.75 grams. Measures 3/4 inch tall by 11/16 inch wide without bail. Special gift for a special little girl. Gift for my young granddaughter and she loved it.